12 May 2017: SICHREM organised Mobile Human Rights Legal Clinic at R.S. Palya Slum, Bangalore on 10 May 2017. There were about 20 participants and 15 cases were handled at the clinic. Most of the cases were related to Domestic Violence, Birth Certificate & Property issues. Adv. Eunice Mercy & Adv. 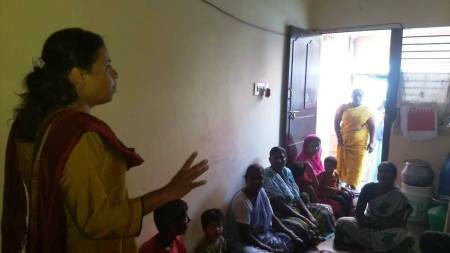 Shashikala gave legal counseling to the victims.